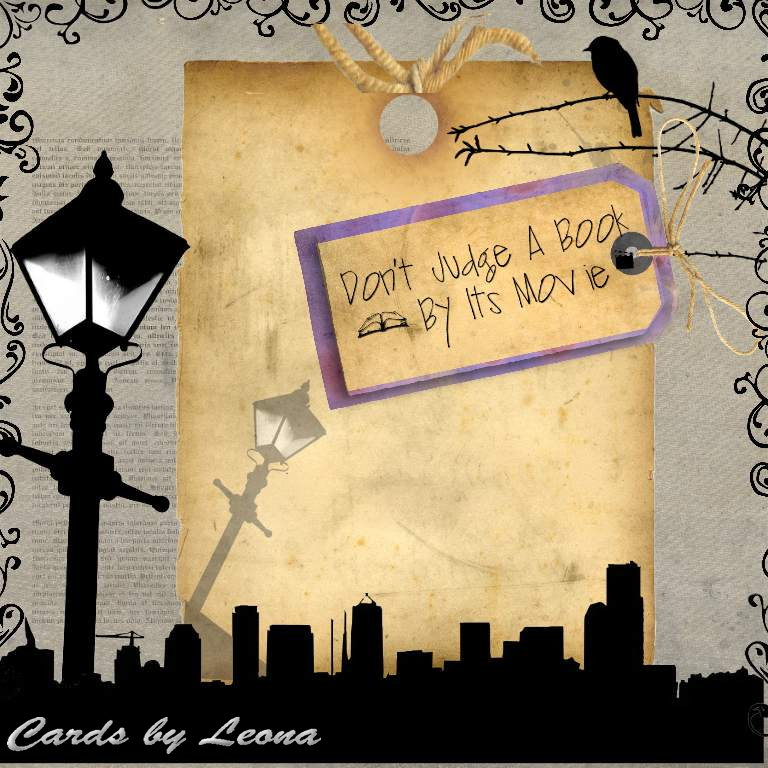 I am very pleased with this card I have made for my sister to give my bridesmaid daughter when she gets married tomorrow. 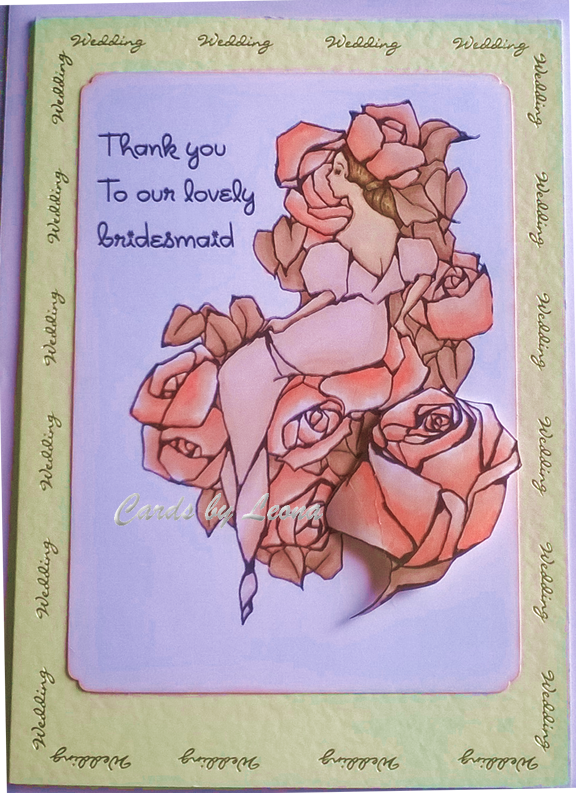 The wedding theme is pink and brown and The beautiful digi stamp from A Day For Daisies was chosen because of the Roses – both my daughter and sister are June birthdays and they are the wedding flower. ProMarker colours used are: Dress: Pale Pink, Muted Pink; Roses: Salmon Pink, Pastel Pink, Tea Rose (plus Graph it blender); Leaves: Cinnamon, Tan, Sunkissed Pink; Hair: Walnut, Cinnamon, Mustard, Ginger; Skin: Coral, Blush, Satin. Have I told you that my sister is getting married? Well I have a very busy few days leading up to the first but I just wanted to share this gift I have made for her. 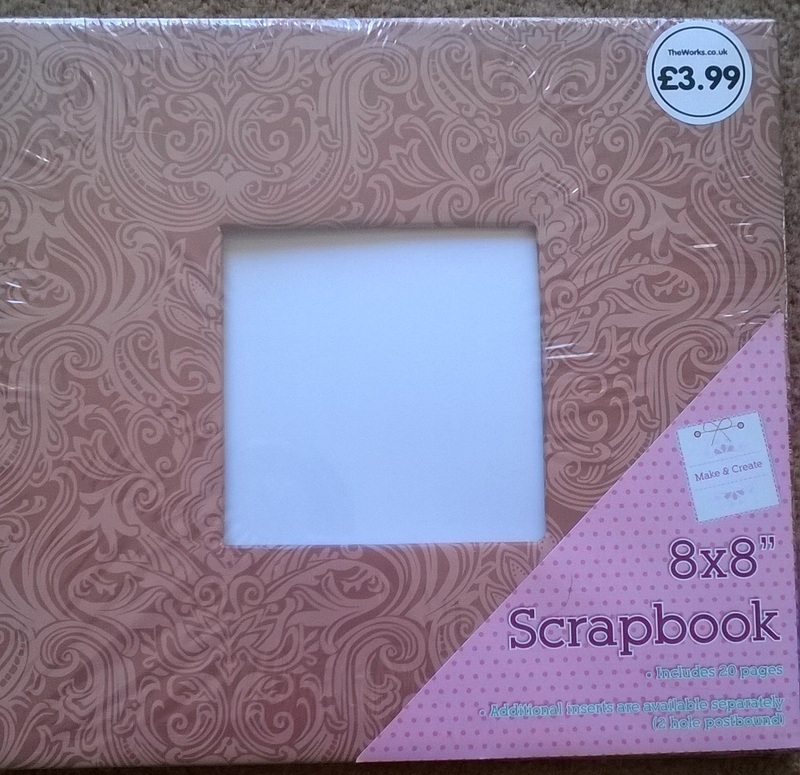 I bought a really cheap and cheerful 8″ scrapbook album from The works. 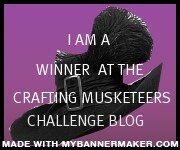 I intend to make digital scrapbook pages of the wedding. 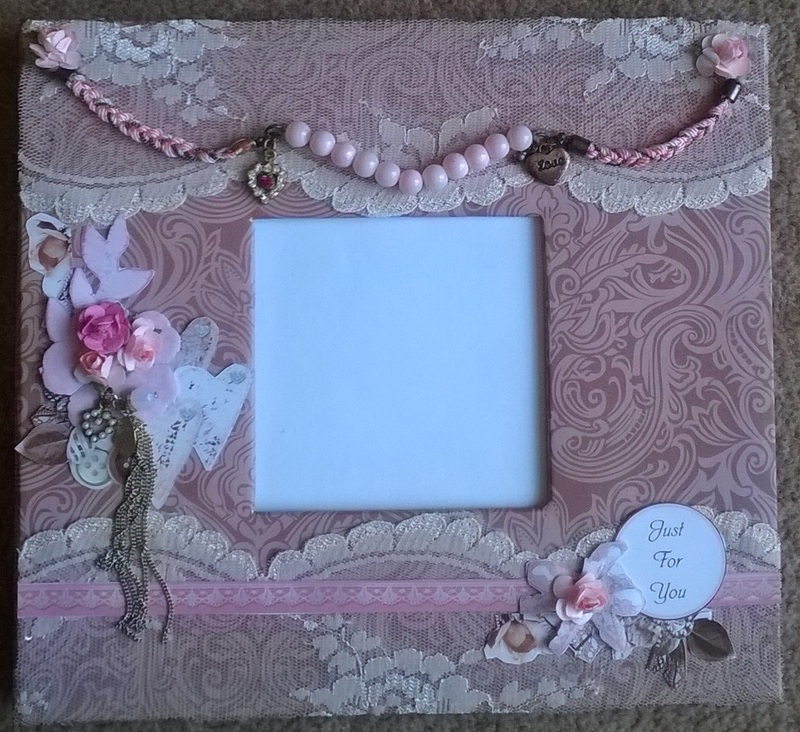 I decorated the album using lace scraps from the dress, My Paper Stash embellishments and old necklace and some paper flowers from my stash. 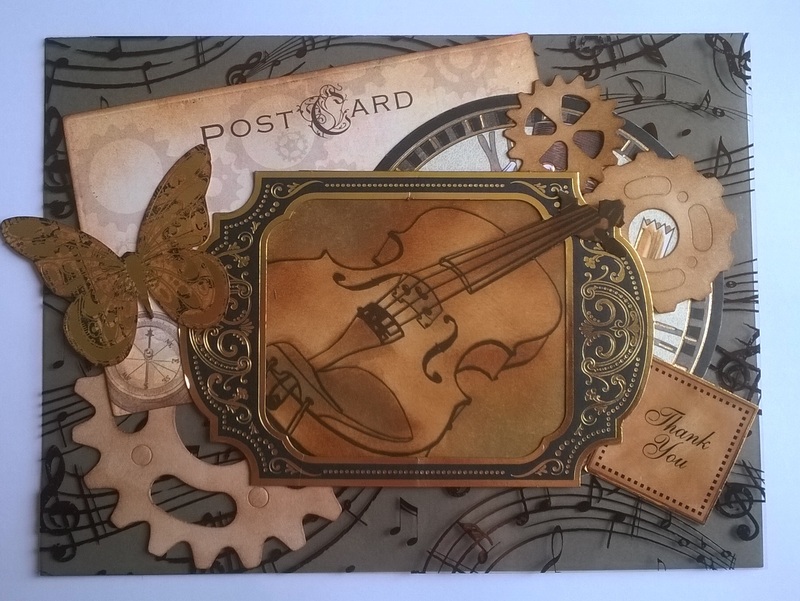 For the inside front cover I used a fitting sentiment on a topper also from My Paper stash and mounted it onto a mat made using Spellbinders. As I will give this gift before we have wedding photos, I have printed out the first scrapbook page. Please pop back soon for more wedding lovliness! 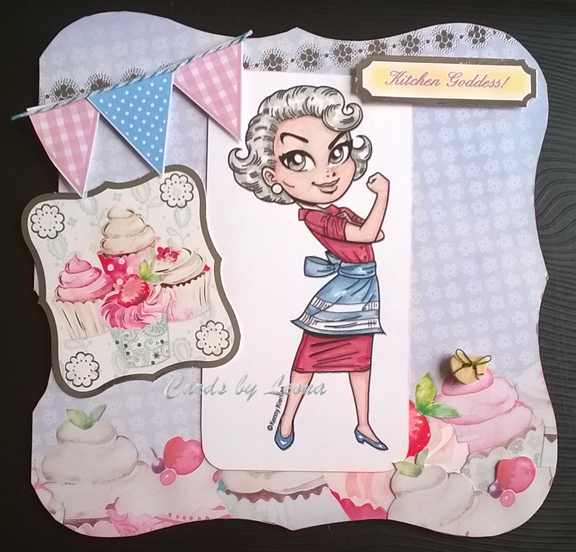 Today’s card is for the new Make it cute challenge at Creative Fingers. 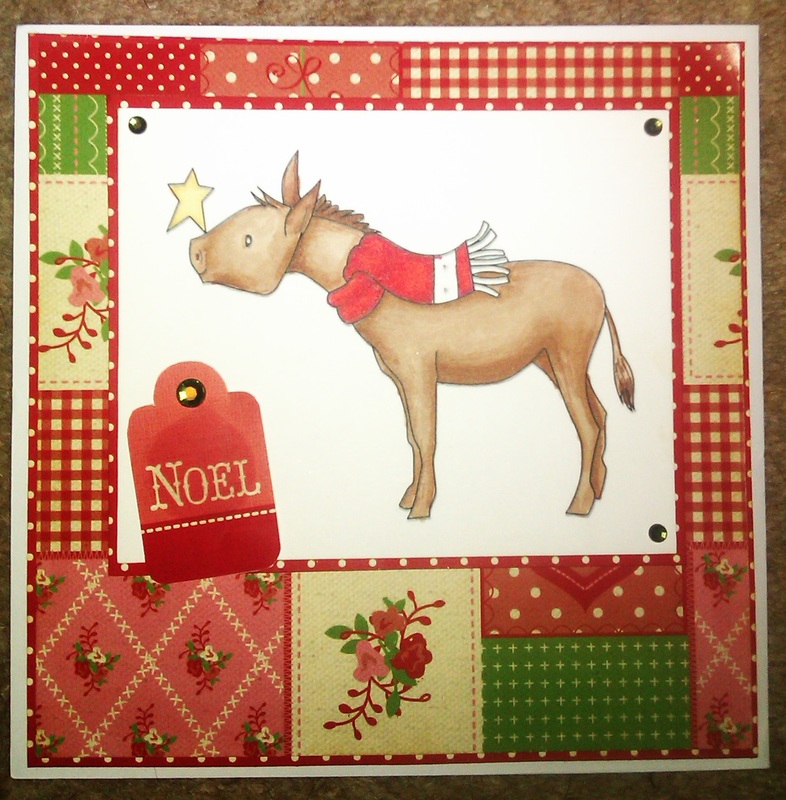 I have made this card using papers from a free insert in a magazine. 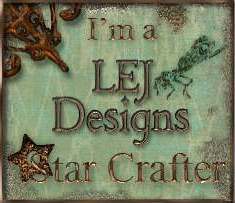 They are designed by Jennifer Ellory. 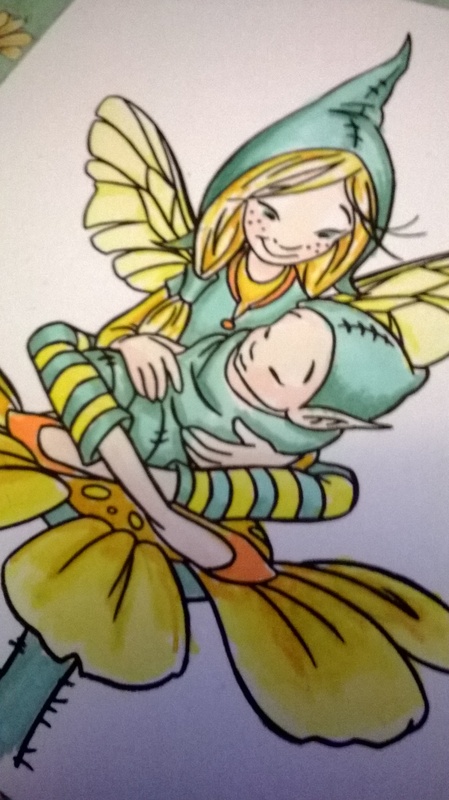 This digi is available from the Polkadoodles website and is coloured using Promarkers.